What a whirlwind experience! To date I have lost a maximum of 19 lbs and have fluctuated back and forth between 19 and 18 lbs. Which hey, with the holidays I am amazed to be losing and not gaining! I am so excited because over the months while I seemed to hit a plateau in terms of losing pounds, I continue to lose inches and my clothes fit better and better. Today is the first time in a year I have been able to wear one of my favorite pairs of jeans! I have muscles for the first time in my life and I can feel ab muscles taking form! The experts at Complete Nutrition are rock stars. Only two weeks ago were we able to come up with a supplement routine my body would accept. Apparently, my system is very sensitive. In the beginning I would become nauseous and jittery. Then I got in to working out almost every day and my body was sapped, in pain and exhausted. Since I wasn’t participating in extreme activity I knew this wasn’t right and explained the situation with my nutritionists and now I am on a regimen that perfectly maintains. I can’t wait to see the results another month from now! So glad the team is persistent and patient because figuring out my chemistry was no easy task. So other than supplements what has changed? The way I look at food in general! Water is amazing. The more I have the better I feel. Plus there are so many ways to jazz it up! In a day I will consume about 120 oz. Instead of avoiding food and tricking myself in to believing the good stuff doesn’t exist I’ve found this great quality called will power and it is much more fun to make a choice to not consume what is bad for me. 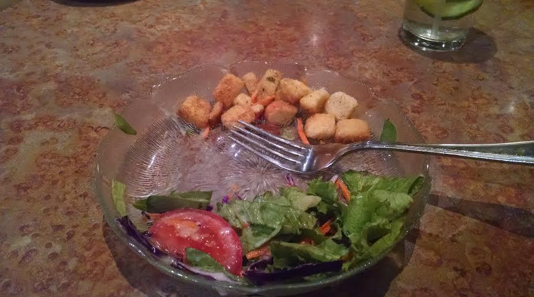 Say I forget to order a salad without croutons it is neat to have each little crouton be a little win for me and my weight loss goals! Then there is the whole learning how to make meals which are healthy and taste good at the same time. When I was told I could eat beans I was all for it! Love beans! Trust me, looks can be deceiving. So yum! 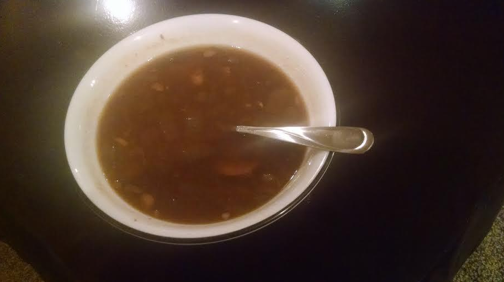 And my favorite has been combining good foods in to soup. 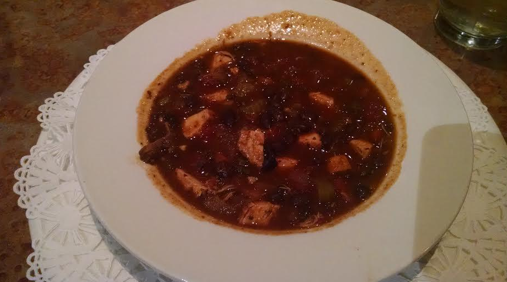 Soups provide a ton of flavor for foods that when kept separate aren’t as delish.